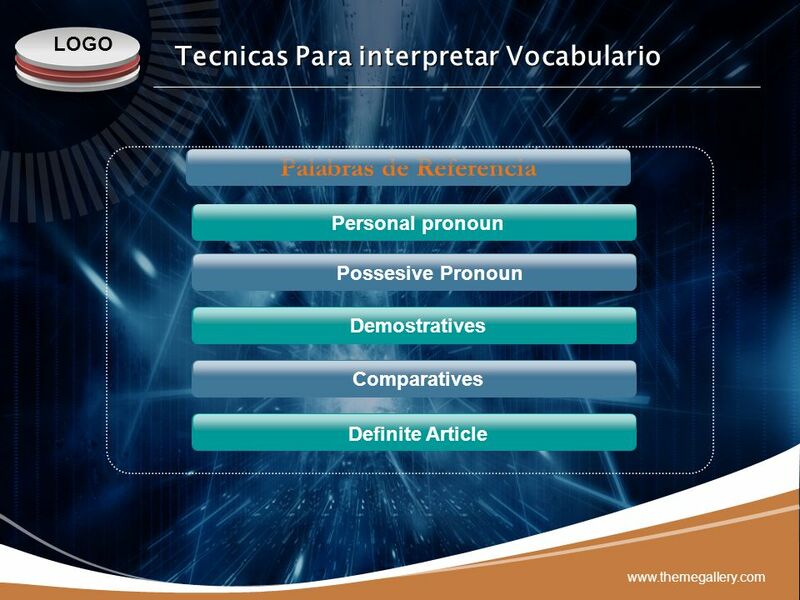 4 Personal Pronoun The personal pronouns are I, you, she, he, it, we, they. 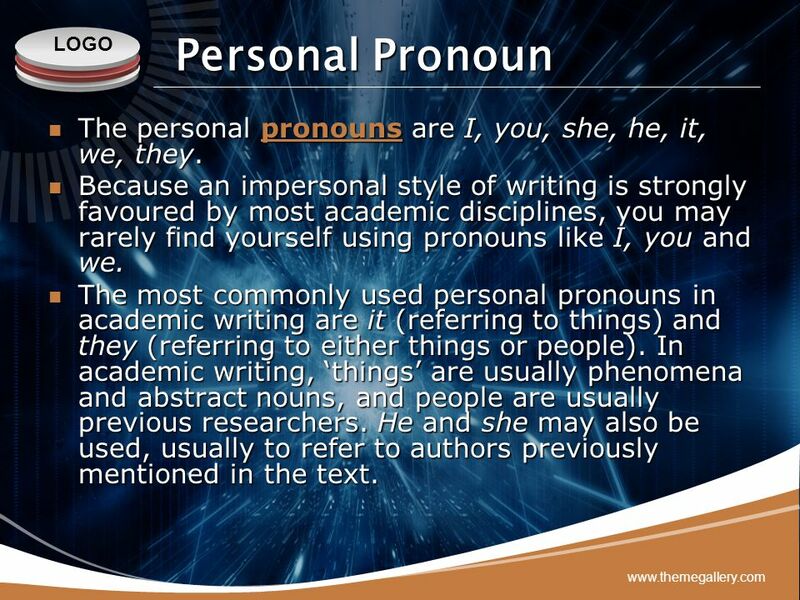 Because an impersonal style of writing is strongly favoured by most academic disciplines, you may rarely find yourself using pronouns like I, you and we. 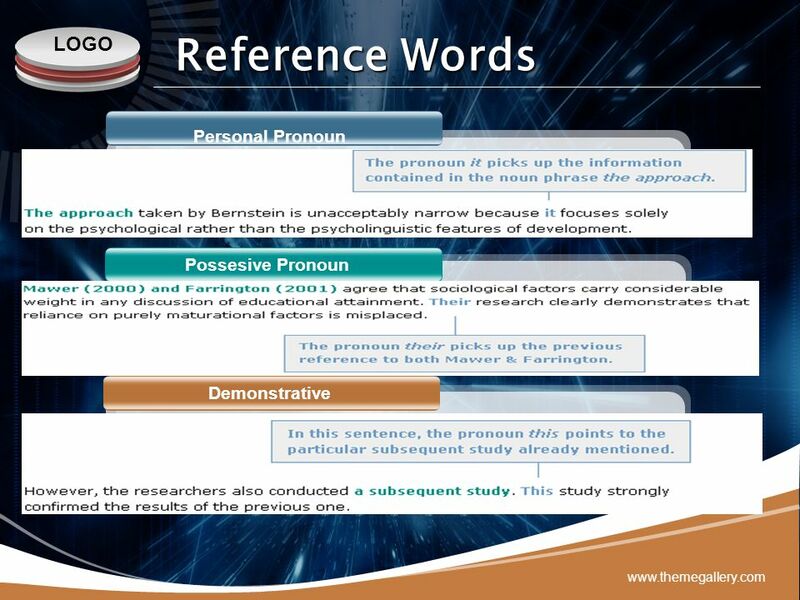 The most commonly used personal pronouns in academic writing are it (referring to things) and they (referring to either things or people). In academic writing, ‘things’ are usually phenomena and abstract nouns, and people are usually previous researchers. 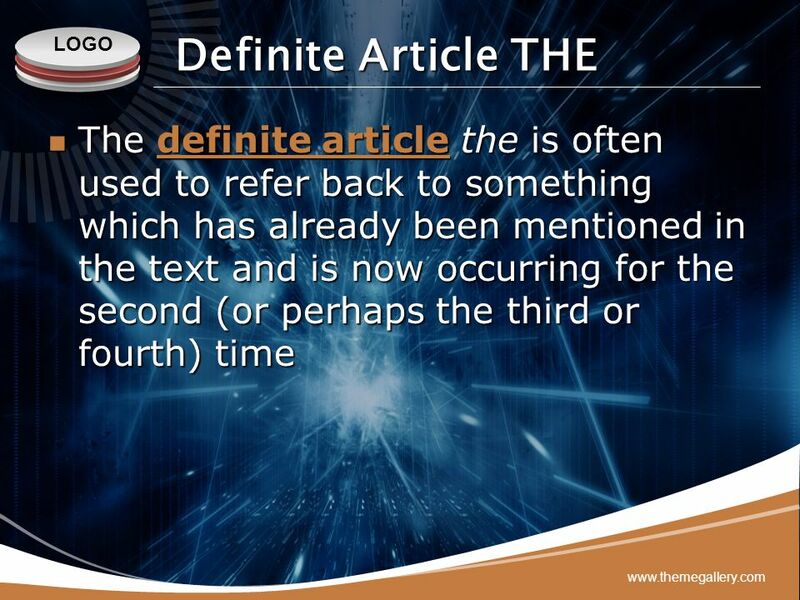 He and she may also be used, usually to refer to authors previously mentioned in the text. 5 Possesive Pronoun The possessive pronouns show a relationship of ownership or ‘belonging to’. They are: my, mine, your, yours, his, her, hers, its, our, ours, their, theirs. 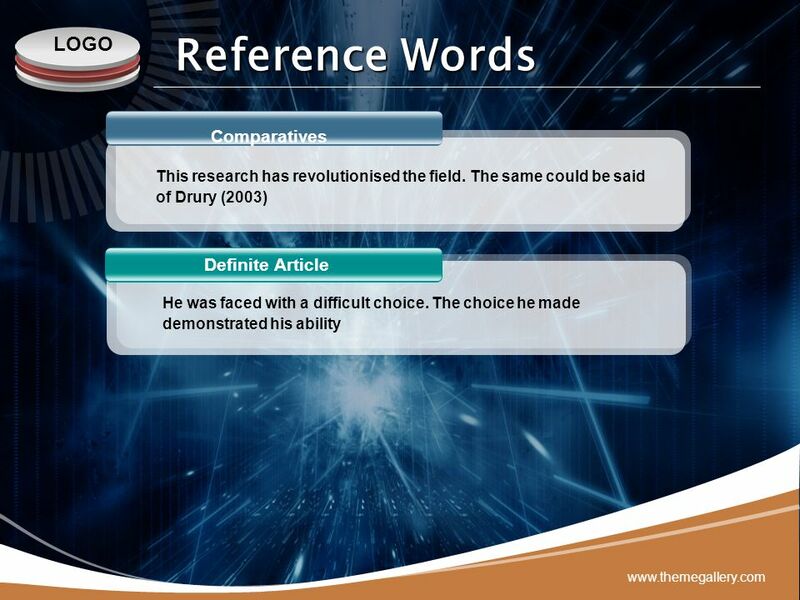 As with personal pronouns, my and our are not commonly used in academic writing. 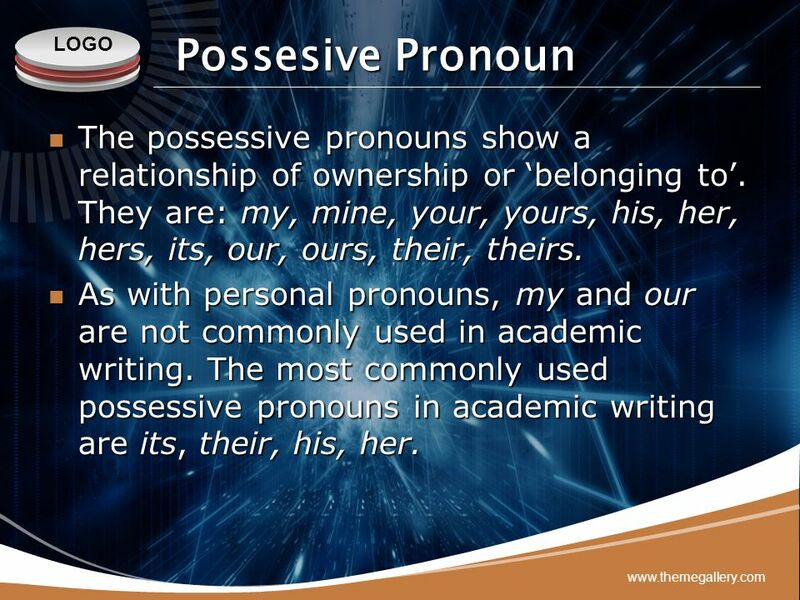 The most commonly used possessive pronouns in academic writing are its, their, his, her. 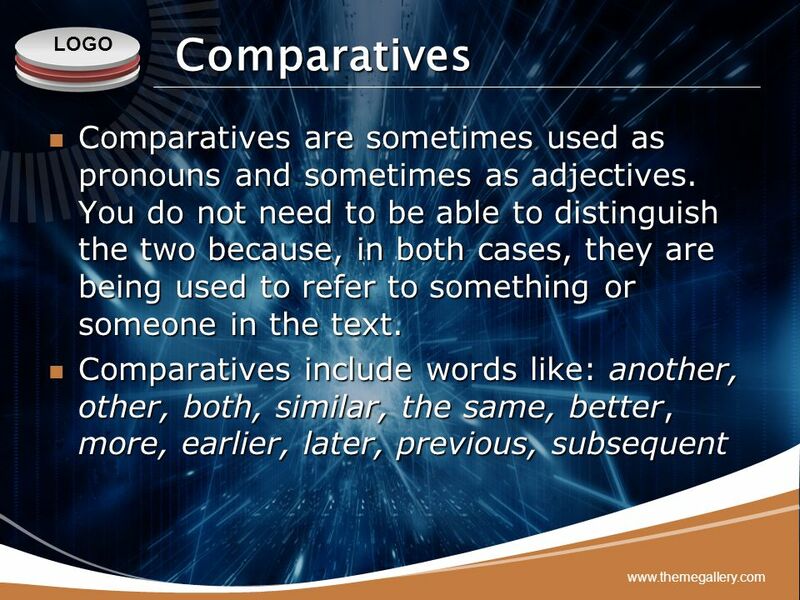 6 Demonstratives Demonstratives are similar to personal and possessive pronouns in that they refer to nouns usually already present in the text. However, they have a stronger pointing quality – they identify (point at) exactly which thing or things are being referred to. 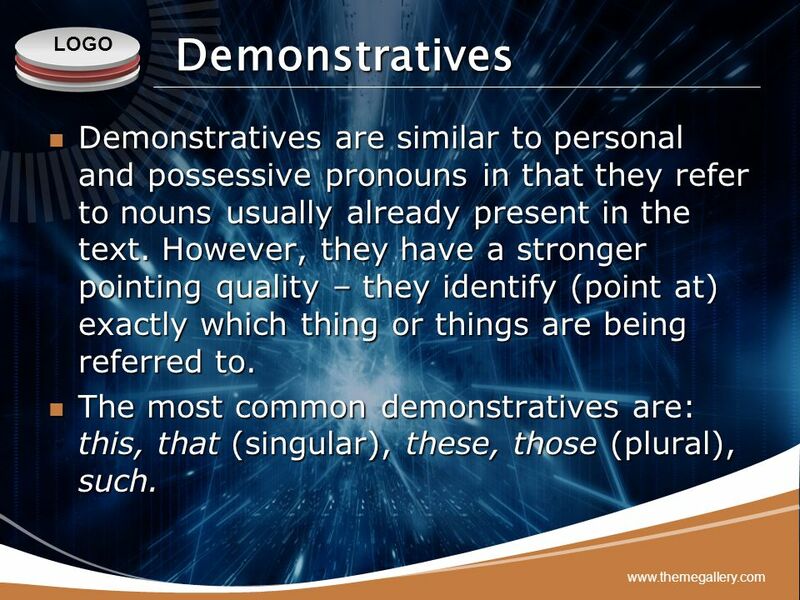 The most common demonstratives are: this, that (singular), these, those (plural), such. 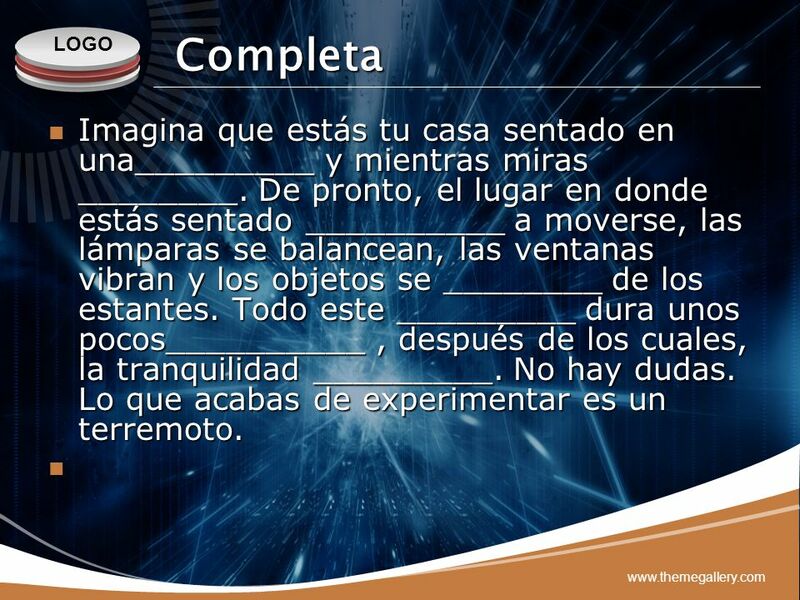 11 Completa Imagina que estás tu casa sentado en una_________ y mientras miras ________. De pronto, el lugar en donde estás sentado __________ a moverse, las lámparas se balancean, las ventanas vibran y los objetos se ________ de los estantes. Todo este _________ dura unos pocos__________ , después de los cuales, la tranquilidad _________. No hay dudas. Lo que acabas de experimentar es un terremoto. 12 ¿Acaso no has entendido de qué se trata? 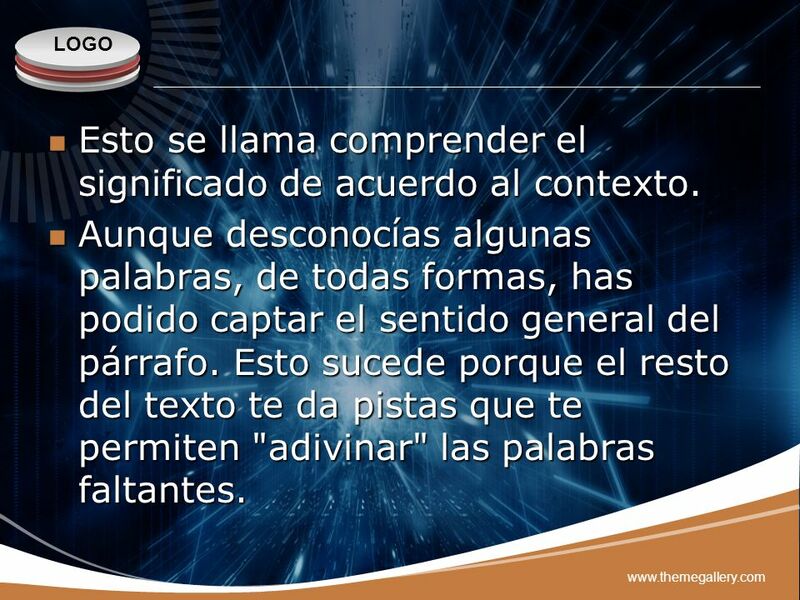 13 Esto se llama comprender el significado de acuerdo al contexto. 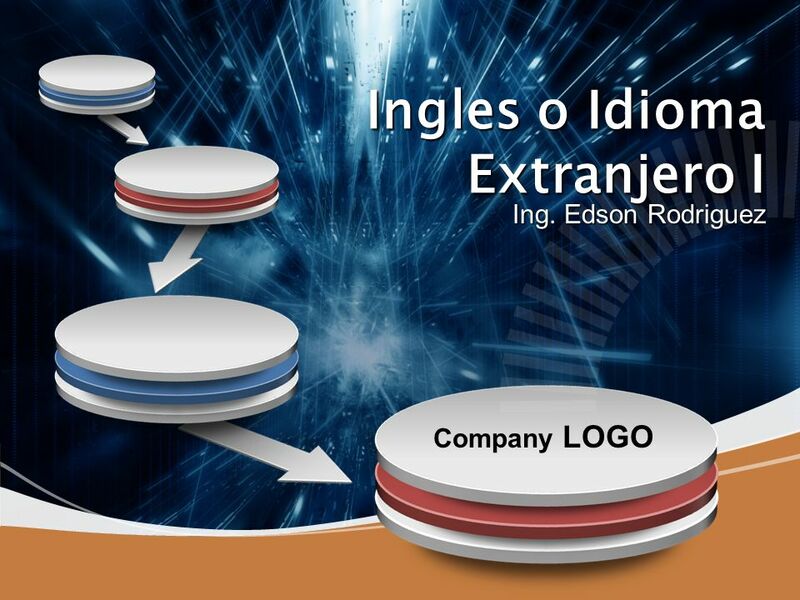 Descargar ppt "Ingles o Idioma Extranjero I"
Company LOGO Ingles o Idioma Extranjero I Ing. 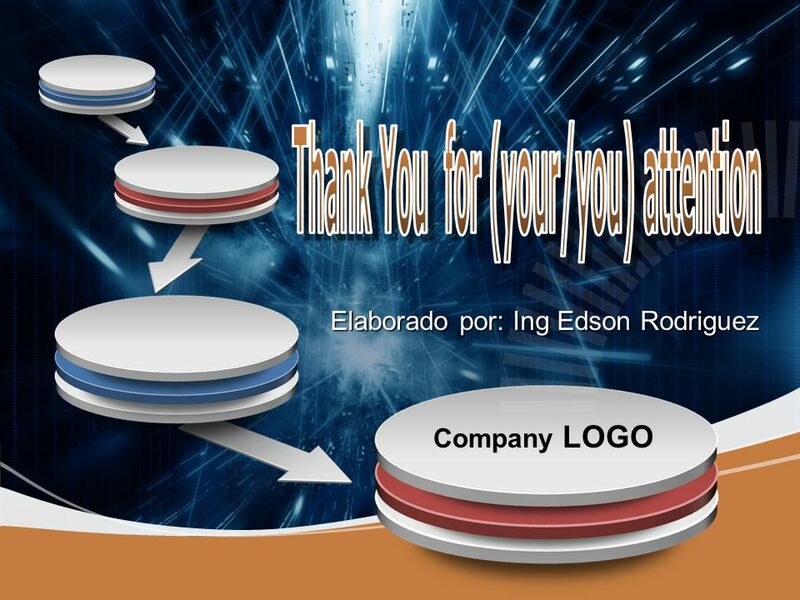 Edson Rodriguez.